The Braddock Road Metro area in Alexandria has a significant amount of development in its pipeline, and, after buying an industrial property last week, Avanti Holdings Group plans to add to it. The Alexandria-based developer bought the 19k SF building at 1200 North Henry St, below, for $3.85M from William Dwyer Properties, with NAI KLNB brokering the deal. In the short term, Avanti will maintain the building’s eight existing leases, mainly light-industrial uses, and look to fill some of the vacant space, but the company has development plans in mind. Avanti principal Teddy Kim tells Bisnow the company hopes to tear down the warehouse and build a roughly 100k SF development. The specific type of project is not yet certain, but Teddy says they are focusing primarily on multifamily, hospitality and senior living options. 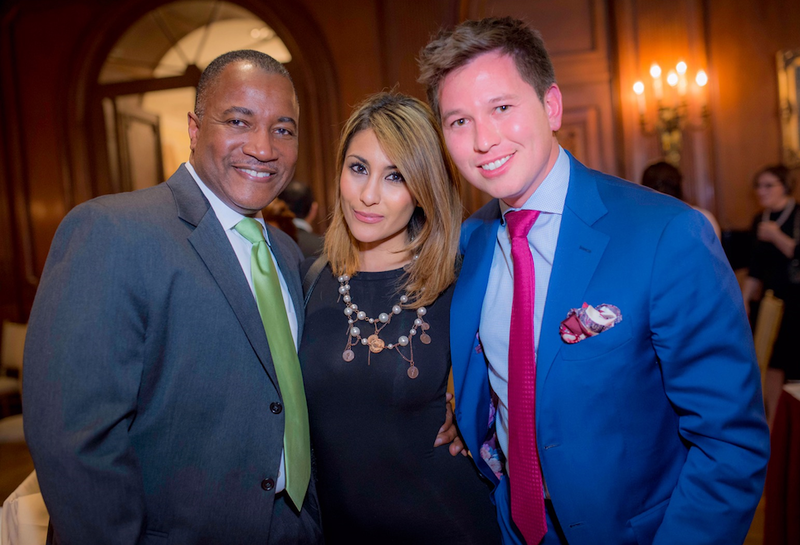 “The office market is somewhat depressed, I don’t know that it’s a great office site anyway,” Teddy, pictured above on the right with Game Beverage Group EVP Bruce Caughman and Greenhouse Bistro’s Saba Givpour, says. “We feel like it’s going to be one of those three food groups, but we’re open to anything…At the end of the day more density is going to be the answer.” Teddy says they would also be open to ground-leasing the site to a retailer who wanted to build a store, but he is mainly focusing on development options to add more density. He says Avanti is seeking development partners with experience in Alexandria who could help them get through the approval process and build one of these asset types. The site is zoned for industrial, but under the Braddock Metro Neighborhood Plan the density could be increased to 2.5 to 3 FAR, which Teddy estimates would be roughly 90k to 105k SF. 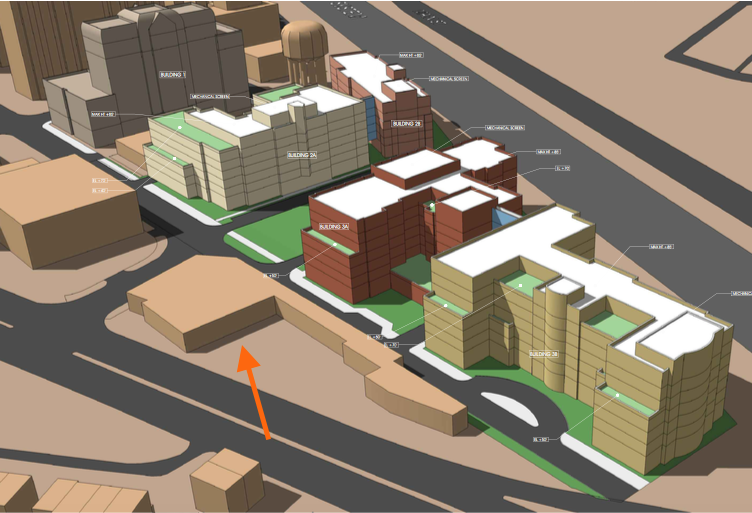 City of Alexandria Avanti’s site, with the arrow pointing to it, sits adjacent to the site of Jaguar Development’s Braddock Gateway mixed-use project, which is approved for more than 800 residential units. Jaguar sold the first building parcel to Trammell Crow in 2011 for $14M. After bringing in WashREIT as JV partner, Trammell Crow broke ground on the 15-story, 270-unit residential building (top left) last December and plans to deliver it next year. “That’s why the hotel could be a potentially good option,” Teddy says. “Because you’ve got so many new units coming online and the location is so central. North Old Town is beginning to develop an identity…It’s a great location for anything, but a hotel in particular could add to that fabric.” NAI KLNB’s Josh Simon, who worked with Avanti on the sale and is continuing to help Teddy with the development plans, says they are hoping to get through the approval process by late 2017 or early 2018. He says they have spoken with architects and, given the site’s characteristics, believes Avanti could build a seven-story building with roughly 20k SF floor plates, which he says would yield around 100 to 150 multifamily units or 200 hotel rooms. If Avanti decides to go with hotel or senior living, Teddy expects to break ground as soon as possible. If Avanti brings in a multifamily partner, though, Josh says they will wait and watch the market—and Jaguar’s development—to determine when the best time to break ground would be. Jaguar Development Jaguar controls the remaining four buildings of the Braddock Gateway project. The City Council in April approved Phases 2 and 3 (rendered above), which will amount to 541 residential units and 17k SF of retail, plus a two-thirds-acre park. Jaguar managing partner Eddy Cettina says the company still has to go through the special use permitting process and doesn’t have a scheduled groundbreaking date yet. She says she has not talked with Avanti about its plans, but remains confident the neighborhood can support the amount of multifamily Jaguar is planning. “I feel extremely good about the area, otherwise I wouldn’t be building on it,” Eddy tells Bisnow. “We’re 1,000 feet from a Metro and everything else that has been built in our immediate area is leasing very well.” The Braddock Road Metro area will be among the topics discussed by the area’s top developers at Bisnow’s State of Arlington County and Alexandria event on December 7. At the time of the sale, the building was 76 percent leased and occupied by five tenants. 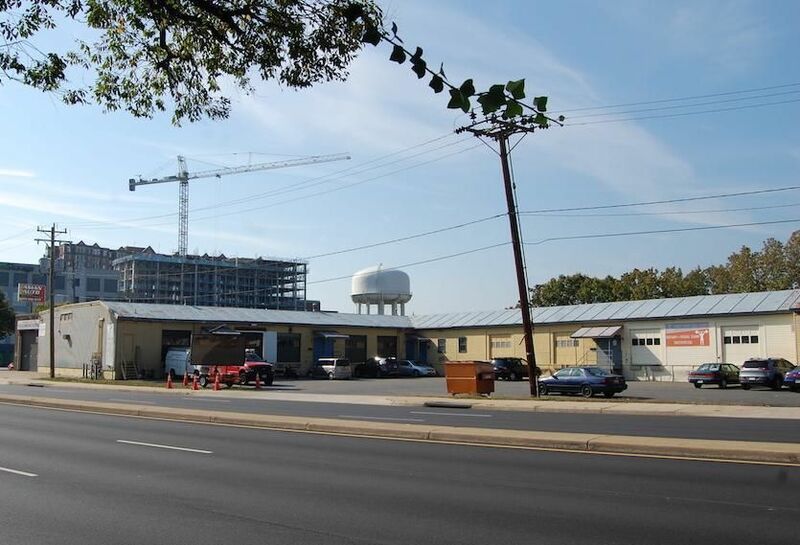 1200 N. Henry St., Alexandria, Va.
Alexandria, Va.—NAI KLNB has recently closed the sale of a 19,000-square-foot Alexandria warehouse for $3.9 million. The company’s Principal Josh Simon represented the buyer, Avanti Holdings Group, while Christopher Campagna of Braddock Commercial Real Estate represented the seller, William Dwyer Properties. At the time of the sale, the asset was 76 percent leased and occupied by five tenants, the majority of which are retailers. Located at 1200 N. Henry St., the property is situated on 35,000 square feet of land. The building features fourteen-foot ceiling heights and dock height loading, with visibility on Route 1 leading into Old Town Alexandria. In addition, the warehouse is located in close proximity to the Braddock Road. Metro Station, two miles away from Ronald Reagan Washington National Airport and less than ten miles from downtown Washington. NAI KLNB has brokered the sale of a 19,000 square foot warehouse building in Alexandria, Virginia for $3.85 million. Josh Simon, principal with NAI KLNB represented the buyer, Avanti Holdings Group, in this transaction. Theseller, William Dwyer Properties, was represented by Christopher Campagna of Braddock Commercial Real Estate. The building, which is contained on 35,000 square feet of land, was 76% leased and occupied by five tenants at the time of the sale. Located at 1200 N. Henry Street, the building features fourteen foot ceiling heights, and dock height loading, with visibility on Route 1 leading into Old Town Alexandria. The majority of the tenancy are retailers. The asset is situated approximately one-half mile from the Braddock Rd. Metro Station, two miles from Ronald Reagan Washington National Airport and less than ten miles from downtown Washington, D.C.
Avanti Holdings Group, headquartered in Alexandria, recently sold 410-420 Calvert Avenue and is preparing to acquire several additional sites in the Old Town, Alexandria area later this year. In addition to Kim, Avanti Holdings Group was founded and is owned by Keinan Ashkenazi and Greg Salvaggio. Founded in 1968, KLNB, LLC is comprised of two real estate services companies that includes NAI KLNB, a division that focuses on the sale and leasing of commercial office, industrial and warehouse properties, as well as KLNB Retail, which specializes in the sale and leasing of retail properties as well as tenant representation. KLNB is a joint venture in Paragon Commercial Property Management, a full-service provider of commercial real estate property and asset management services. In addition, the company formed a joint venture partnership with ColumbiaNational Real Estate Finance, LLC to create Arris Realty Capital, an entity that provides real estate financing options. KLNB, LLC provides a full range of integrated brokerage, sales, financial, investment and strategic advisory services to the commercial office, industrial and retail marketplace. Headquartered in Towson, MD, the other four full-service offices are located in Columbia, MD; Washington, D.C., as well as Tysons Corner and Dulles, Virginia. For additional information visit www.klnb.com.